A very common ingredient for super foods! 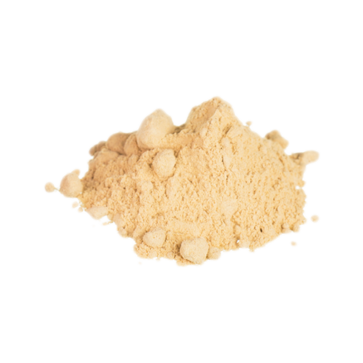 Maca (Peruvian Ginseng) works energizing and helps to deal with stress. It also increases your sexual endurance, and is supposed to improve sperm. The Maca, or sometimes referred to as Peruvian Ginseng, originally growths in the High Andes mountains in Peru. The root of the plant is very nutritious and healthy. It is rich in vitamins, minerals, proteins and essential fats, and is therefore often used in modern ‘super foods’. Traditionally, Peruvians cooked the roots to use it in porridge, jams or together with vegetables, but there are more possible ways to consume the Maca, or Lepidium Meyenii, like in smoothies or cakes. Consumption of the Maca gives you an energy boost and will make you feel less stressed. It is also commonly known as an aphrodisiac and enhancer of sexual endurance. For man it is said to improve the quality of sperm (more and faster swimmers! ), and for woman it is said to soften problems experienced during the menopause and increase fertility. Maca can be used in baked goods, soups, and a variety of drinks like (nut) milk, smoothies, juices, (chai) tea, hot or cold water, and much more! Common dosage is 5-20 grams per day.